Art Print: It's clear to see from this charming scene that Mr Ernest Hemingway Mustard has a suitcase full of delicious treats! 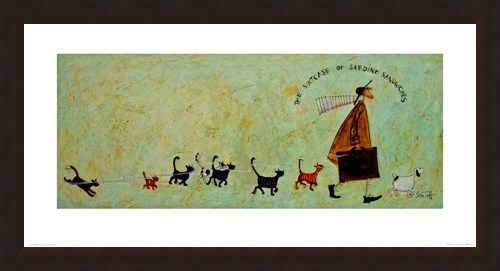 Seemingly unaware of the stream of cats following behind him, Ernest strolls along peacefully with his pet dog Doris strutting along in front. 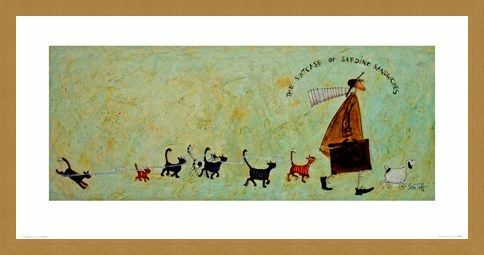 Aptly titled, 'A Suitcase Of Sardine Sandwiches', the wafting scent of the goodies can be seen trailing along in his wake, attracting a number of feline friends on the way! 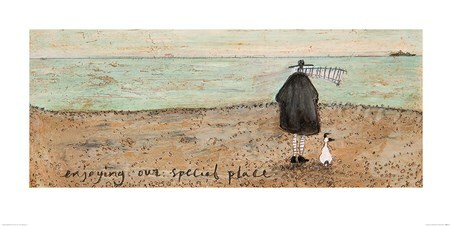 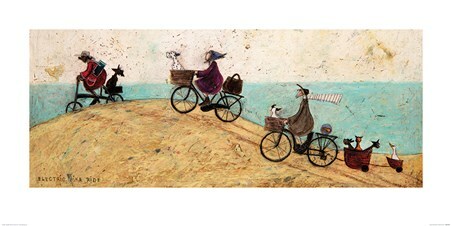 Full of character and humour, this print by British artist Sam Toft will instantly brighten up any living space in your home. High quality, framed The Suitcase Of Sardine Sandwiches, Sam Toft print with a bespoke frame by our custom framing service.